Do you shop at Costco, Sam's Club or BJ's? If you buy cereal there, it most likely comes in a double bag, single box. Once you open that bag, there is no way, no how, you can get that bag to fit back in the box! You have to put it in another container or keep it in the bag with a tie of sorts....which results in crushed cereal. They come in two taped boxes, much like Siamese twins, waiting to be separated at birth. This makes the boxes MUCH easier to use, store and pour! 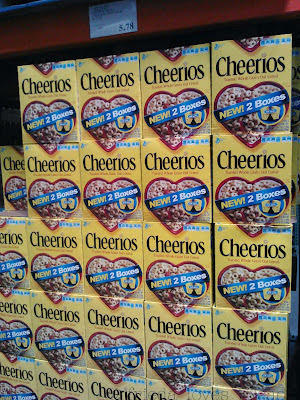 Did you know Cheerios® has reduced the amount of AIR in each bag? You now get more cereal for your buck, 10% more. This uses less packaging and waste. 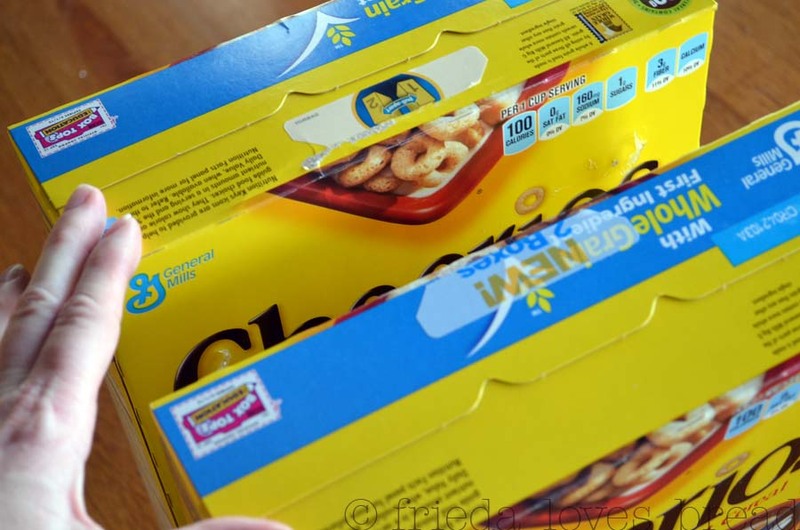 Each box contains MORE cereal, and overall packaging has been reduced over 200,000 pounds, which makes buying cereal in this form more eco friendly. 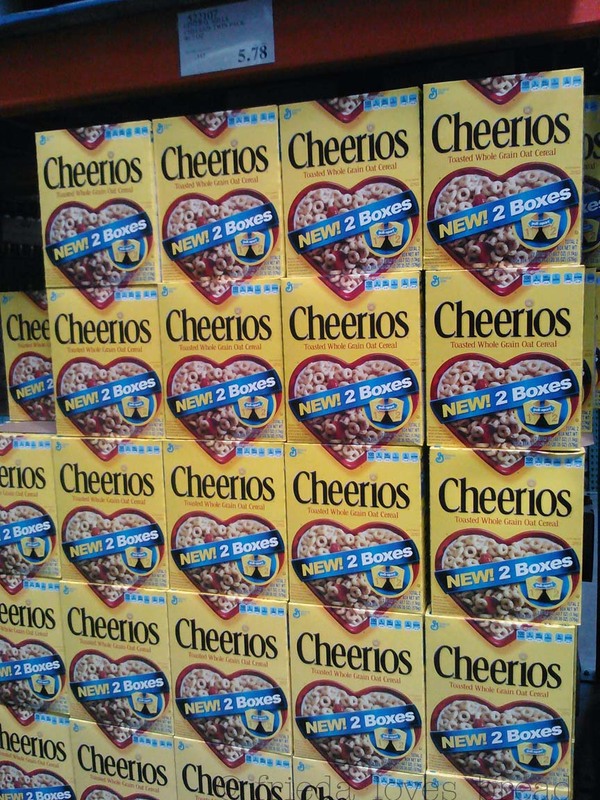 So, next time you go to Costco, Sam's Club or BJ's, look for the double box of Cheerios® cereal! How would YOU like 2 of these boxes (four total!) to be delivered to your front door? That's over 4 pounds of crunchy, oaty goodness for you and your family! How will the new 2 box Cheerios® packaging benefit you and your family? 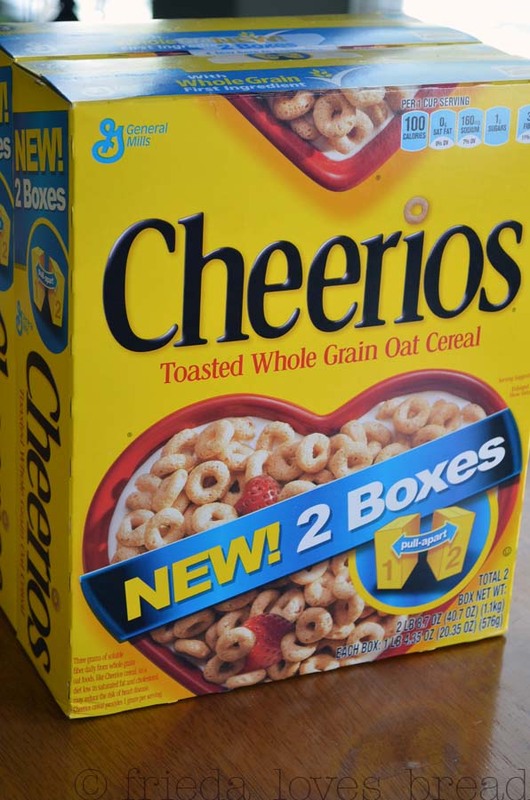 Cheerios® cereal, information, and giveaway have been provided by General Mills through MyBlogSpark. 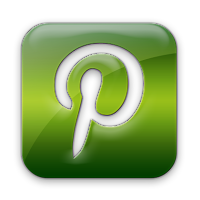 Open to USA readers only. 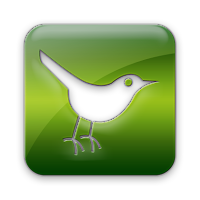 We will now get more product for the money we spend! We love Cheerios! I have a two year old who survives off of them ha ha. The storage will be nice with the 2-box packaging! we eat a lot of cereal - so buying this big package will be great for us! Cheerios is my favorite! Reminds me of my grandmother putting sliced strawberries and bananas in it! Would be great to have these! Awesome!! I hate buying cereal at Costco because I can't ever get the bags back in. Love the new packaging! I love the change! I've been buying these at Sam's lately and they're soooo much easier than the two bags in one box. We go through cereal like crazy, especially Cheerios. I like them as a bedtime snack with blueberries and bananas. It will save room in my pantry. I will actually SAVE money because I will not be purchasing air AND with two individual boxes, I have portability...I can keep one at home and take the other on road trips, donate it to a neighbor or simply save it for later when I want to rotate cereals! We go through a lot of cereal at our house, so 4 boxes will save me trips to the grocery store! Is there anyone who DOESN'T love Cheerios?! It'll take less space to store and I like to double up when I buy stuff...one for my hubby and I and one for the college kids apt! Helps keep them fed! It would mean fewer trips to the food store! Dang, I love Cheerios. This is definitely better than the giant box because I can store one while the first is being eaten. I hated having the big box sitting there taking up space with nothing in one side. WE love cheerios! I don't get to Sam's that often, but I will check this out. I never had a good way to store that other bag! Thanks for the offer! So exciting! I don't know why they didn't think of this sooner! Brilliant! I have an 8 mo. old and will definitely benefit by giving it to him as he's toothless right now and wanting to feed himself all the time! It's perfect for him! We go through Cheerios too fast for them to get stale, but with the two bags, when I pour one into the OXO container, I can keep the other one fresher without using a chip clip. There are lots of little fingers around my house! Cheerios are a great healthy snack to help hold kids off until lunch or supper. 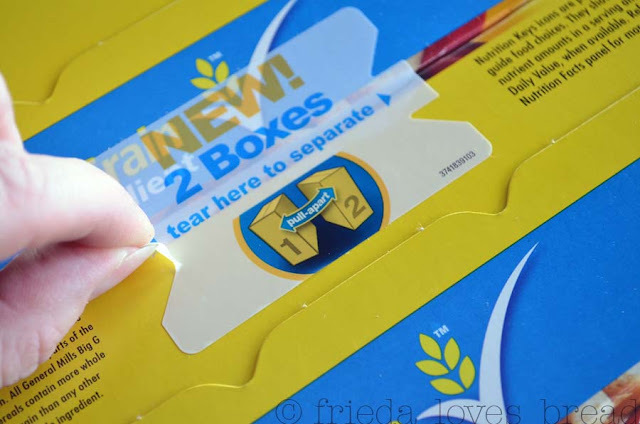 The new packaging is a great idea! No more stale Cheerios, Yay!! We eat a lot of cereal...so two boxes will last longer! And I totally hear you on the two-bag one-box problem - they never fit right once you open them. These new boxes will fit on my pantry shelves alot better. Cheerios are great for breakfast or a snack! I will be able to share with my family and there will be less packaging. It will take up less room in our pantry! Thanks for the chance to win! It gives something healthy and quick for crazy mornings! Cool packaging. Plus, I love Cherios!! I like the two packages because the cheerios stay fresher longer since only 1 bag is open at a time. I also have to shop less and can spend more time doing what I really enjoy... my family and my farm.